As someone who is obsessed with cheese, I was REALLY excited to find out October 9th is National Moldy Cheese Day! 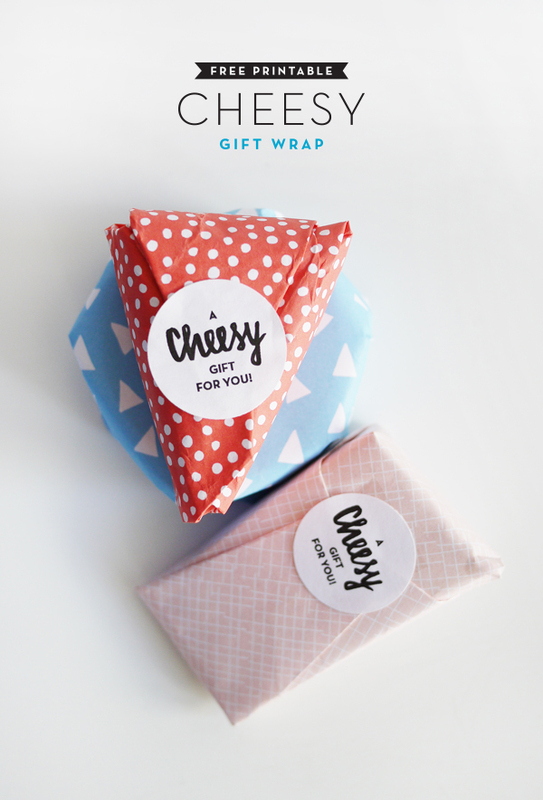 Moldy or not, these wrappers are the perfect way to dress up that hunk of cheese you were planning on bringing to a dinner party or giving away as a small (and cheesy) thank you gift! You can print out the labels on Sticker Paper or regular paper. Punch out the labels with a 1.5 inch punch to seal your wrap. 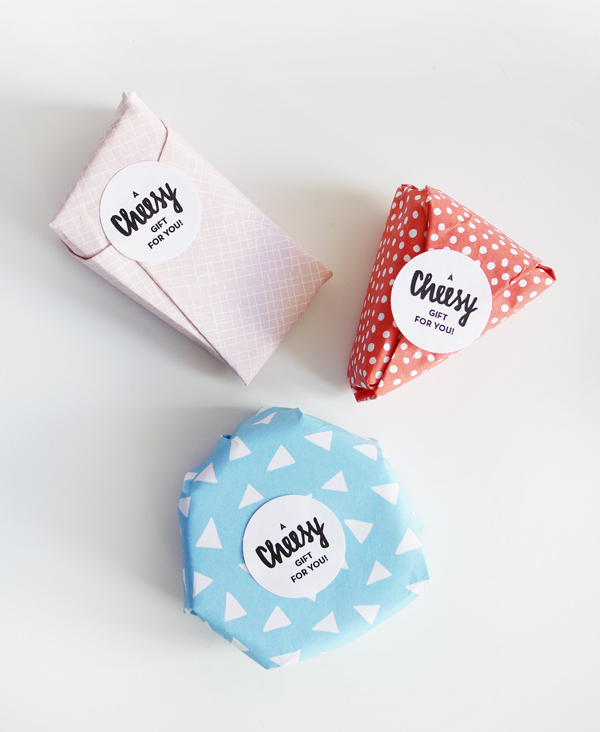 You’re friends will be impressed with such a professional cheese-monger presentation! This is so great ! I love bringing little apps to a friend’s place and this makes it all the cuter! 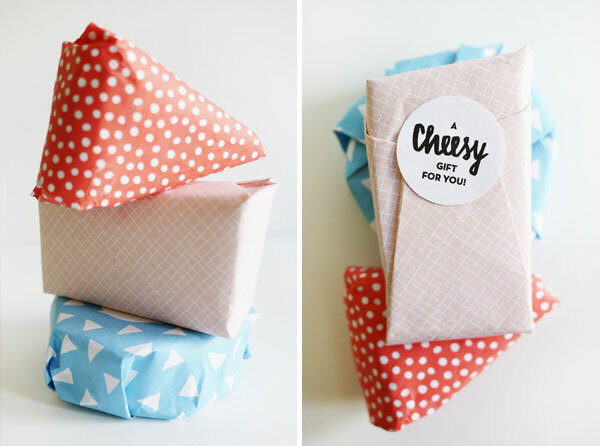 Did you use a certain paper to print the wrapping? So adorable. 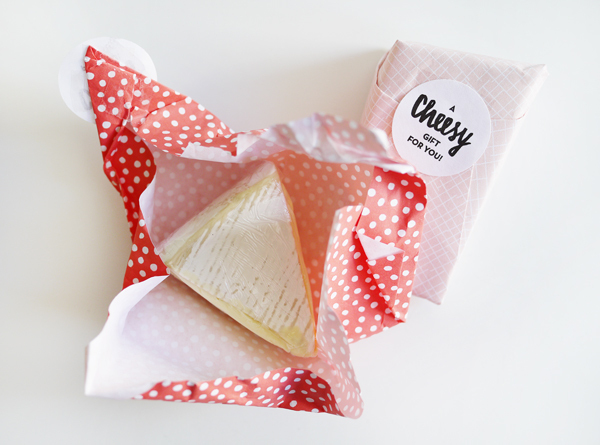 I am a cheese lover myself, and I would be smitten if I received this beautiful package of cheese.